What a great start for us this year! We kicked off in LUX Nijmegen where we got a really nice live review. After that we played a sold out show in the ever so nice Amer in Amen to continue our tour in Muziekgebouw Eindhoven, a show that was also totally sold out. What an honor to see the audience enjoy our music so much! Let’s hope for more good things to come this year. See you soon at one of our shows! New album Oh Yeah Habibi out now! 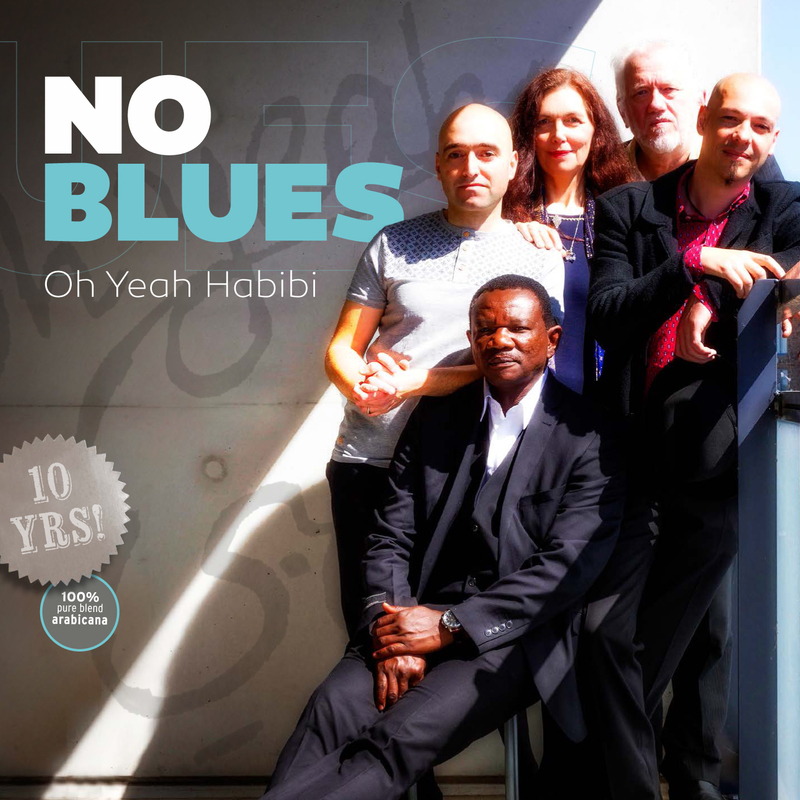 It is with great pride and excitement that we present you the new album Oh Yeah Habibi by NO blues! Not only are we pleased to present this sixth album, but we’re also glad to celebrate our ten year anniversary. Oh Yeah Habibi is out now. You can listen and download it on our Bandcamp, Youtube, Soundcloud, Spotify or Deezer. Do you want to purchase the album in iTunes, or buy the actual CD? Go to our online store or visit a Dutch record store. On Thursday Octobre 8th the album will be presented in Deventer Schouwburg, the Netherlands, and after that we will celebrate our ten year anniversary and the new album in an extensive festive tour. Info and tickets are available here. We are very curious what you think of the new album Oh Yeah Habibi. Please leave a message on our Facebook & Twitter. 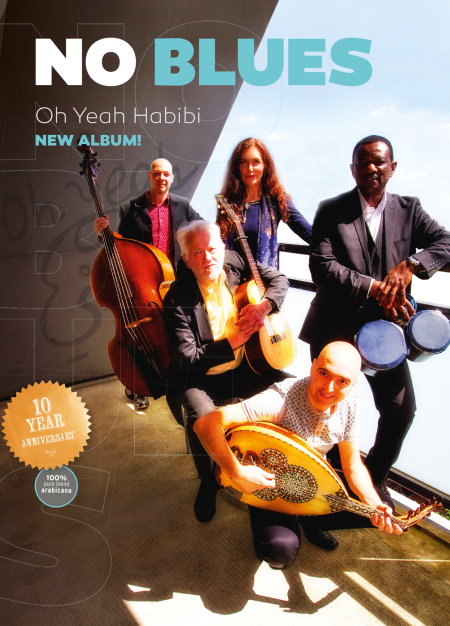 Vier 10 jaar NO blues en het nieuwe album Oh Yeah Habibi! 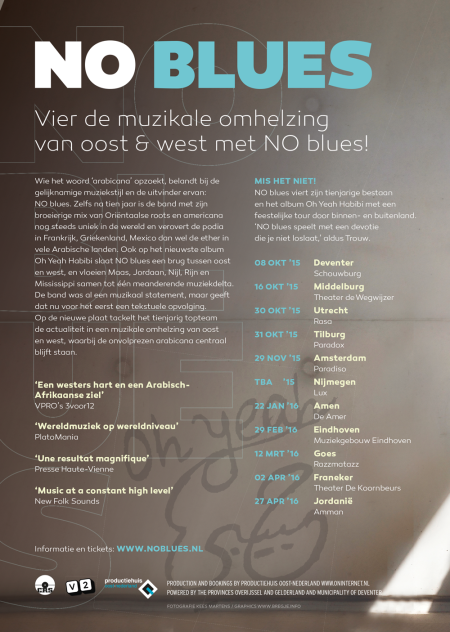 NO blues viert haar tienjarig bestaan en het album Oh Yeah Habibi met een feestelijke tour door binnen- en buitenland. Deze tour start op 8 oktober 2015 als de plaat officieel uitkomt met de albumrelease in de Deventer Schouwburg. Mis het niet! 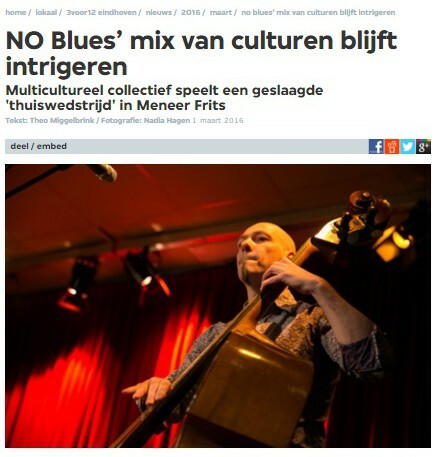 Last weekend Haytham and Osama of NO blues were invited to play in a summer special of the Dutch television show Vrije Geluiden. In the show they play The Road, the track that led to Last Train to Haifa that was on the NO blues albums Ya Dunya and Kind of NO blues. This time you can hear it in a special embodiment with only u’d and percussion. Check it out! Watch the show here (interview starts at 00:11:12), and stay tuned for the release of the new NO blues album Oh Yeah Habibi at Octobre 8th!